The initial mouthfeel is warming and nicely coating with a minor bitter-drying feeling from the tannins - depending on whether you are stressed or not it might be a little distracting or just about okay (guess what I am after a fine day in the highlands…). The finish is of medium length and adds more spices (chili, ginger) and more white chocolates to the party with a minor drying finish (yes, it is the oak again). At the beginning incredible "fresh", citrus, mint, ginger, sweet spices, candy. Then it gets fruitier, more apples, green fruit, more candy, marzipan, some oranges, more spices, oaky. Finish is long, sweet and fruity. Very well balanced, really nice. ABV does fit perfectly, what a nice dram! 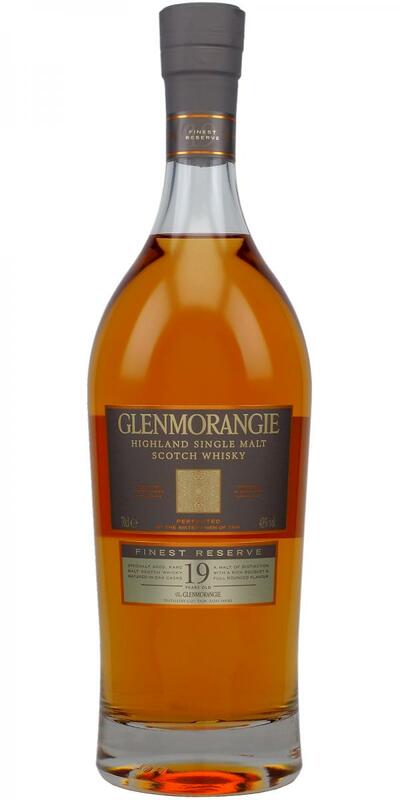 Jim Murray has awarded 94 points to the Glenmorangie 19 Year Old. He does not smell very fragrant. Maybe it's because the sample is very small. Also aromatic little meaningful. He is rather spicy, woody. Taste is bolder than nose. Intense, black pepper, spicy, fruity. Slight sweetness. Medium to long finish. Dry, citrus finish. Not so much sweetness.